Sunroof, Heated Seats, iPod/MP3 Input, Satellite Radio, INTUITIVE PARK ASSIST, F SPORT PACKAGE, REAR SPOILER. EPA 30 MPG Hwy/21 MPG City! NEBULA GRAY PEARL exterior and BLACK (F-SPORT) interior, IS 300 F SPORT trim. CLICK NOW! F SPORT PACKAGE Heated & Ventilated Front F SPORT Seats, 10-way driver w/power lumbar, 8-way power passenger seats and contrast stitching, LFA Inspired TFT Instrumentation, High-Friction Front Brake Pads, Silver Performance Trim, Tires: 225/40R18 Front & 255/35R18 Rear Summer, Side & Rear F SPORT Badging, Black Headliner, Unique Front Fascia/Grille, Unique Rear Bumper, Low & High Beam Twin Projector LED Headlamps, Aluminum Sport Pedals, Stainless Steel Scuff Plates, Lexus logo, Wheels: 18" F SPORT Split 5-Spoke Alloy, Active Sound Control, INTUITIVE PARK ASSIST clearance and back sonar, REAR SPOILER, ACCESSORY PACKAGE 2 Cargo Net, Carpet Trunk Mat, Rear Bumper Applique, Key Gloves, Alloy Wheel Locks. Lexus IS 300 F SPORT with NEBULA GRAY PEARL exterior and BLACK (F-SPORT) interior features a 4 Cylinder Engine with 241 HP at 5800 RPM*. At Lexus Santa Monica in Santa Monica, we have the new and used vehicles you have been looking for! 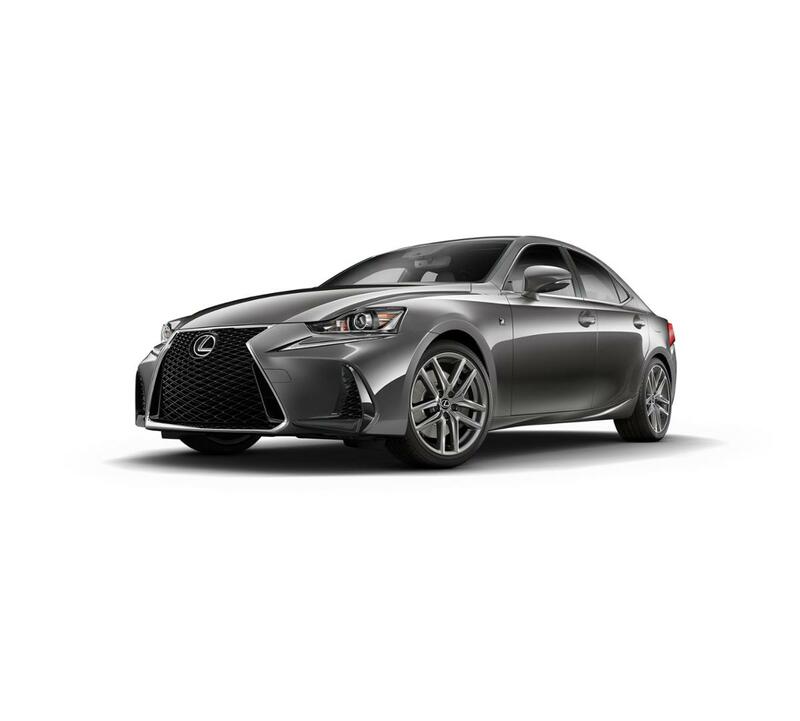 This Nebula Gray Pearl 2019 Lexus IS 300 F SPORT, is available right now at your Santa Monica Lexus dealership. Call us at (424) 229-9998 if you have any questions about this Lexus or any of the other vehicles at our Santa Monica Lexus car dealership.